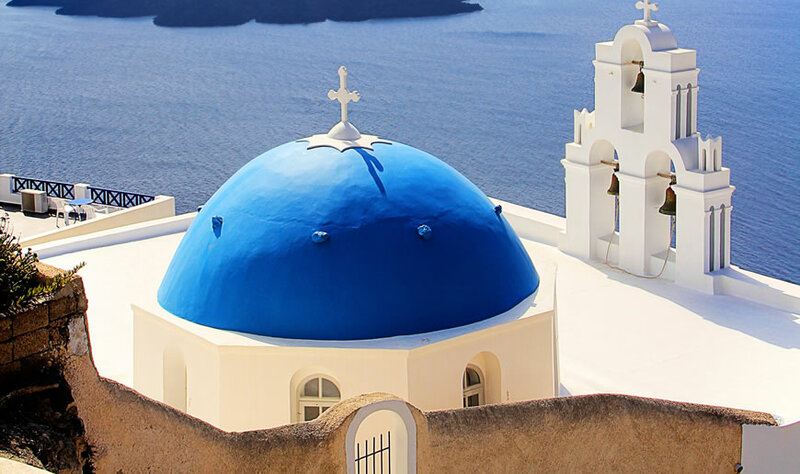 Enjoy a private tour that includes all the must-see places of Santorini. 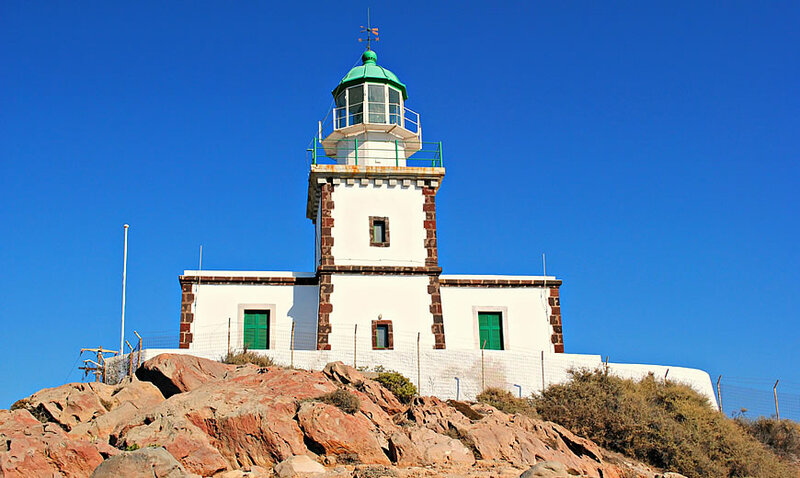 The light house in Akrotiri was manufactured in 1892 from the French company of lighthouses. From there you can enjoy a breathtaking view of the island. Is one of the most important prehistoric settlements in Aegean. 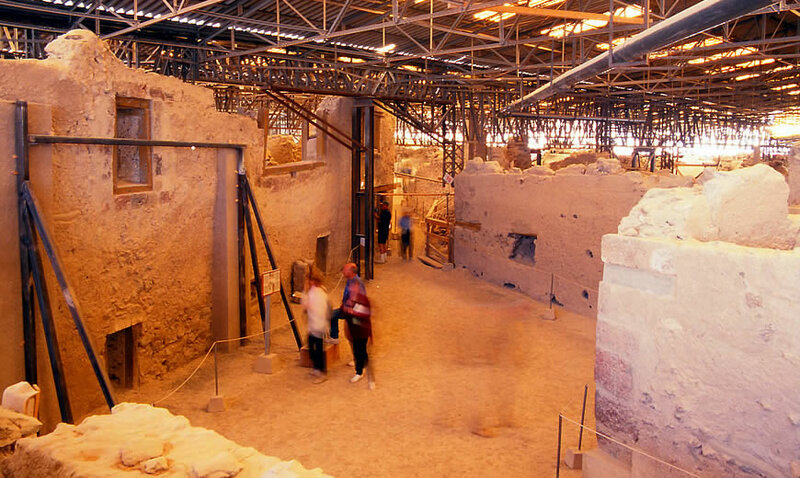 The first inhabitants at the sites dates from the late neolithic times at least at the 4th millennium BC.The town’s life came to an abrupt end in the last quarter of the 17th century BC when an eruption covered the city with volcanic materials. 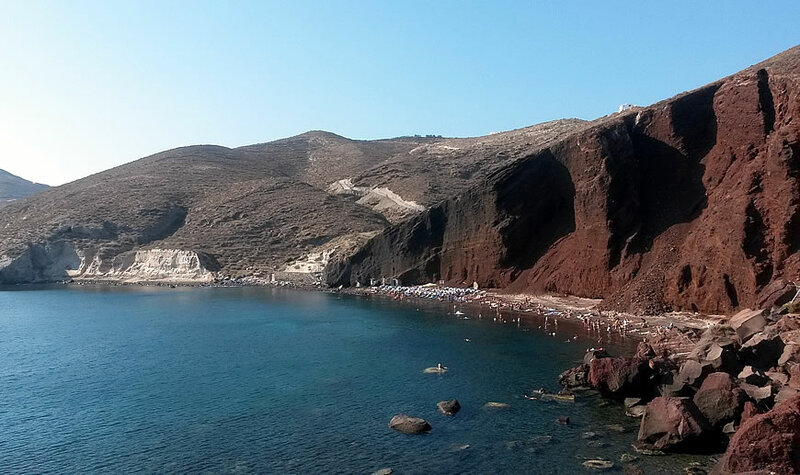 Soaring red lava cliffs which drop right to the sandy beach and into the clear blue sea. Highest spot of Santorini with a magnificent 360o view of the whole island. It took its name from the monastery on its peak. 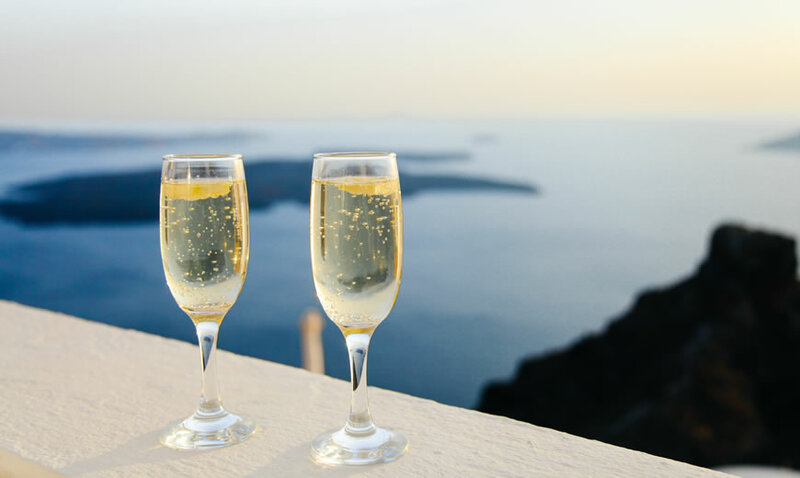 Have some wine tasting in the winery with the most beautiful view in Santorini. Breathtaking view and the most picturesque church in santorini. 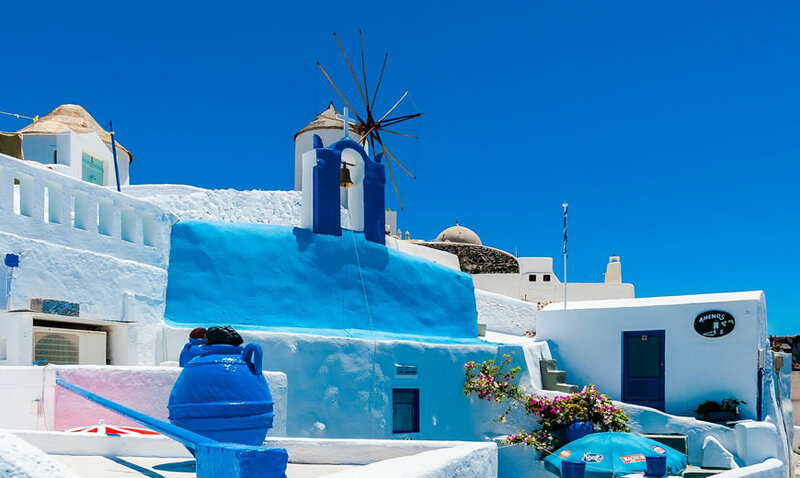 The most famous picturesque village of Santorini and most popular destination. We can pick you up and drop you off from any location in the island. Our experienced local drivers speak English and they are certified by the Greek Tourism and Transportation Ministry.